I'd played the tenor banjo - in "standard" CGDA tuning - in a jazz band environment for some years. I started playing smallpipe tunes on it from a book called "The Northumbrian Piper's Tune Book". Then I wondered how the tunes would sound on a tenor guitar in similar tuning. In 2009 I commissioned this guitar from Ian Chisholm. 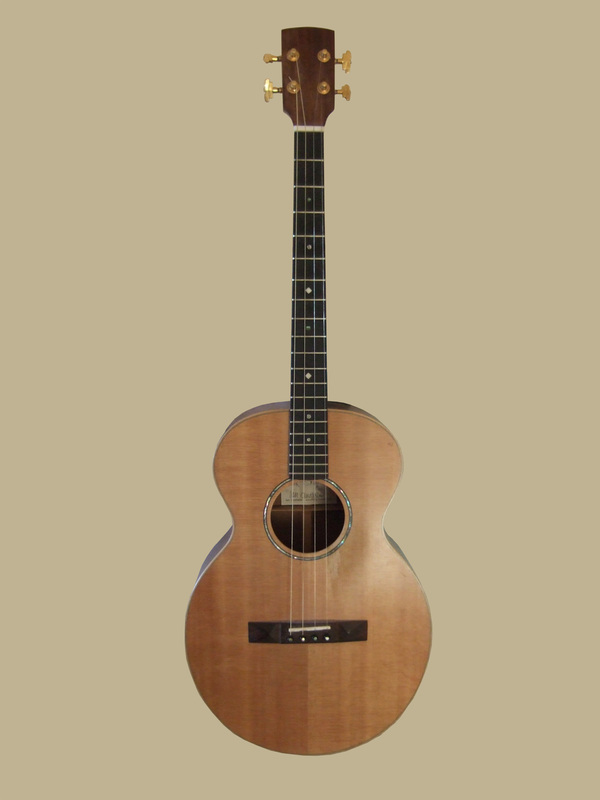 The back and sides are English walnut and the face is Sitka spruce. The tuners are a nice retro, 30s-style design, and the whole guitar is small and very light. It has a lovely sweet, ringing tone and lends itself to a nice, old-fashioned vibrato. Elixir Phosphor Bronze Nanoweb .009-.032 strings. I very quickly stopped playing chords on this and use it mainly as a lead melody instrument. I play a mixture of American old-time tunes, traditional English tunes, 30s jazz and French chansons from the 1940s and 1950s on it.